JICN director Wibo de Vries has donated, on behalf of a group of prisoners a number of kites to residents the FKPD foundation. 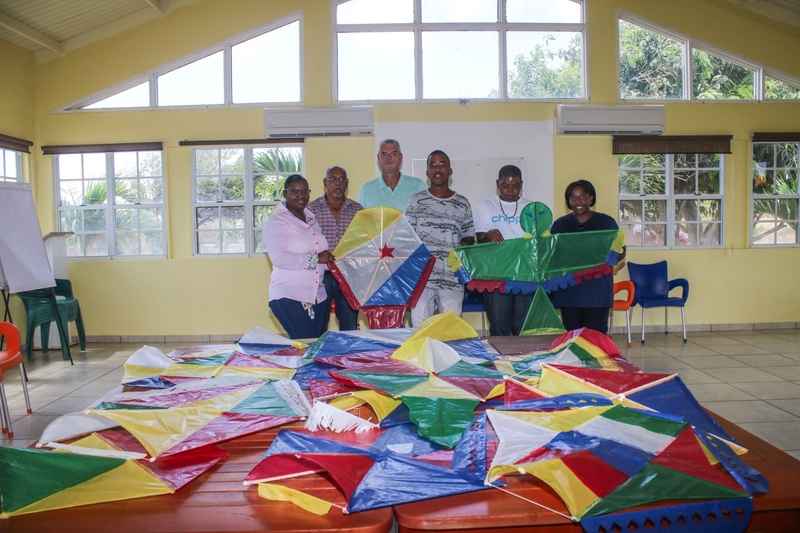 Kralendijk- Prisoners from at JICN have made and donated 13 kites to residents of the FKPD-foundation. The prisoners made their own designs and used wood from old pallets to construct the kites. All the wood was carefully cut and sanded. It is the third year in a row that the inmates have made and donated the kites to the handicapped residents of the foundation. JICN welcomes the initiative of the prisoners, by means of which they make a positive contribution in to society. JICN supported the project by supplying the material needed.